12Bet is a popular bookmaker that is known worldwide and the site is available for several locations like UK, Europe, and Asia. This bookmaker is licensed by the UK Gambling Commission which makes its operations legal. 12Bet is one of the best bookmakers and the reasons to support this will be discussed in detail in this 12Bet overview. This bookmaker covers all the popular sports and other less-known sports. It is considered as a complete betting site that offers players with the perfect betting experience. The operator offers services such as betting, live betting and mobile betting. They offer a wide range of betting limits which makes this the right bookmaker for every type of online bettor. With 12Bet you will find a long list of payment methods and a very helpful customer support. 12Bet was first introduced to the market in 2007 which means that they have been in the market for over a decade. At first, they operated as an Asian gambling company, but with time they expanded into Europe and now UK players can be members of this bookie. 12Bet is a privately-owned brand that has grown into a large betting platform. After the brand’s expansion into the Europe market, a license from the Isle of Man had to be issued and this company is registered to this location. Currently, this company holds a license from the UK Gambling Commission and it is operated by Pacific Sea Marketing International Ltd. This is one of the best bookmakers in the online gambling industry and it has become very popular. One of the reasons 12Bet is popular is because it has sponsored several high profile teams such as Hull City, Newcastle United and Sevilla FC. They have also sponsored the World Open and the UK Championships. Despite the controversies this bookie encountered, it has maintained a good profile and strong reputation. If you want to know how good a bookmaker is you should check what players say about their services. When you go through various reviews by players who have been members of 12Bet you will notice that a good percentage recommend this bookmaker as one of the best in the market. 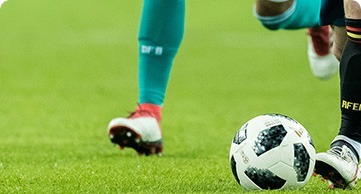 12Bet have the most user-friendly sites in the betting market with a very unique design and colours. You can easily navigate through the site and find exactly what you are looking for. They have a clear menu and you can quickly view any event from the left hand menu. In case you want to select a certain market, it will only take you a few clicks to select your option. This guarantees you an excellent user experience on 12Bet. In terms of promotions, this site does not offer a wide range of bonuses or rewards but the few they have are more than enough. The site offer new customers a sign up bonus and other members can enjoy other promotions such as best odds guaranteed on horse racing. 12Bet offers their players with the best betting odds for various markets. The markets offered on their site are numerous and you can choose your favourite market or event and place your bets. The 12Bet betting odds are favourable no matter the market a player chooses. Something else that players love about this site is the live betting service. 12Bet has an easy-to-use in-play betting interface and it is very obvious that 12Bet have put so much effort in producing a perfect site. There are various sports that are available on the in-play betting mode. In terms of banking, customers have been completely covered since this bookie accepts a wide range of payment methods including credit cards and e-wallets. The customer support is reliable and the representatives are always ready to assist customers at any time. Opt in and enjoy all these amazing services from one of the best bookies in the online gambling industry. 12Bet does not disappoint in terms of bonuses and promotions. This bookmaker has a touch of originality when it comes to the bonuses offered on the site. The operator offer all new customers a sign up bonus; once you sign up for a 12Bet account you get a free bet token of up to £35. For you to qualify for this bonus you have to make your first deposit using a credit or debit card. After making the first deposit, you have to stake 6 qualifying bets of a minimum about £10. After you have placed the sixth bet, you just have to contact the customer support so that they can award you the matched deposit token. The free bet awarded is worth the equivalent of the lowest amount you have staked, up to a maximum of . After following the instructions you receive the bonus within 24 hours. The offer is valid only for pre-live bets and it is valid for 5 days. There is also another promotion that existing customers can enjoy which is the best odds guaranteed on all horse races. These are some of the top betting bonuses compared to what other bookmakers offer. 12Bet covers an amazingly large selection of sporting fixtures but they mainly specialise in the traditional. Players can find all their favourite sporting events in the betting options offered on this site. They offer markets such as football, tennis, boxing, baseball, among others. The most interesting events on this site are the Asian markets; they offer the best betting odds. You can check out the Asian football leagues which guarantee you some gaming excitement. 12Bet betting odds are very competitive and they offer a range of markets that have good odds. The market selection on 12Bet is wide just like other top betting sites and if you want the special odds offerings on this site you can check out the Asian Handicap odds. This site’s odds are the best including the 12Bet live betting odds. You can find tutorials and some helpful guidelines on the information section that explain the different betting types and how you can win big. No bookmaker is complete without an in-play product. As mentioned earlier, 12Bet is an all-rounded bookmaker that knows what players want in a betting site. This bookmaker is covered with a live betting feature and you can’t miss an event to bet on in this section. Once you log in to your account, you can clearly see a “live betting” section that has all the events available on that day. In this section they have also listed a full breakdown of all fixtures on offer. 12Bet can be described as the best live betting bookmaker due to the product they offer in this section. There is a wide range of fixtures offered on this site so it’s a guarantee that you will always find something to bet on. To make things easier, there is a helpful button that is at the top of the browser; it displays the live events that are in progress. To view the schedule of the day you just have to click on the “live schedule” tab and it will also show you all the events that will be available on the live betting section for the whole week. If there is anything online bettors take seriously on a bookmaker is the betting limits. It is very important that players know how big their payout can and the limits that might hold them back. 12Bet has some of the most competitive limits and players can take advantage of this. Events such as football, golf, horse racing, and other sports have a betting limit of £50,000. All the other non-sporting events and special bets on this site have a maximum betting limit of £25,000. In case you want to place multiple bets on different markets, and the limits are different it should never exceed £50,000. All these betting limits apply on all markets on all days. 12Bet wants their players to have fun and if at any point a player feels like they can’t control the gambling, there is a Responsible gambling section on the site. Online players love live streaming bookmakers but it is unfortunate that you won’t find any 12Bet live streams on this site. This is because the operator does not offer a live streaming feature at the moment but it is hoped that in future this bookmaker will add a live streaming feature which is more exciting than the in-play service. However, players can enjoy the live betting section in the meantime before the operator adds live streams. People are getting busier in the current world and that is the main reason betting sites have come up with betting apps and mobile betting platforms. At the moment, you won’t find any 12Bet betting app that you can use to bet via your mobile device. However, there is the 12Bet mobile site that has all the features and services of this bookie since it is similar to the desktop site. You can bet on your favourite markets via your iOS or Android device anywhere and at any time. 12Bet payment methods are numerous and customers can deposit and withdraw funds from their accounts using e-wallets and credit cards. You can use methods such as credit or debit cards, Visa, MasterCard, Skrill and Neteller. This bookmakers deposit methods have different deposit minimum requirements that range from £5.00 to a maximum of £5,000. The deposits are processed instantly while withdrawals have waiting periods.